Paruppu Adai -Multi Dal dosa is a mixture of dhals and rice when combined with other ingredients, makes a perfect breakfast/dinner recipe. The recipe is versatile enough that we can add our own dhal and rice measurements. Whatever may be the proportions, we can eat these adais. 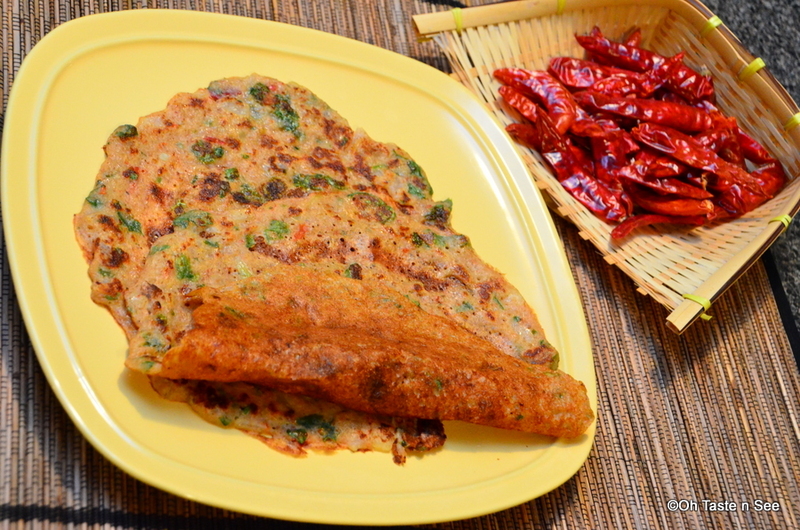 To get a crispy and spicy adai, we need to follow some specific proportions. 1.Wash and soak all Dal and rice together for 2 to 3 hours. 2.Soak fennel seeds,cumin seeds and dry red chillies/2 an hour before you grind. 3. Grind soaked Fennel seeds cumin seeds and red chillies first for 5 minutes then add soaked dal and Rice along with it grind coarsely until you get nice fluffy batter, not smooth paste. 4. Transfer the batter and set aside for half an hour by mixing salt and turmeric powder no need to get fermented . 5. Now add chopped onion ,ginger ,and greens. 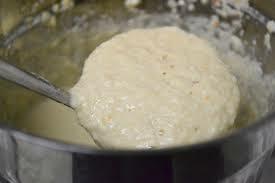 6.Batter should be not watery or thick as idly batter, Preferably as dosa batter consistency. 7. Heat a griddle over medium high heat and make a thick dosa. Take a ladle of batter pour n the middle spread round, drizzle with oil. 8.Let cook on one side until browned. Flip and cook the other side. Enjoy hot crispy adais! Can serve with Coconut chutney or( crushed)powdered jaggery.